Click on the link above to hear the MP3 version of the opening song to the Silver Laughter album, “Handle With Care”. As I have recalled elsewhere on this site, Jon and I worked on this in the front room at his parents’ house out on Kimberly Road. Kim wrote the drum part for this tune and recorded it. I don’t remember playing it live that often after we wrote it. 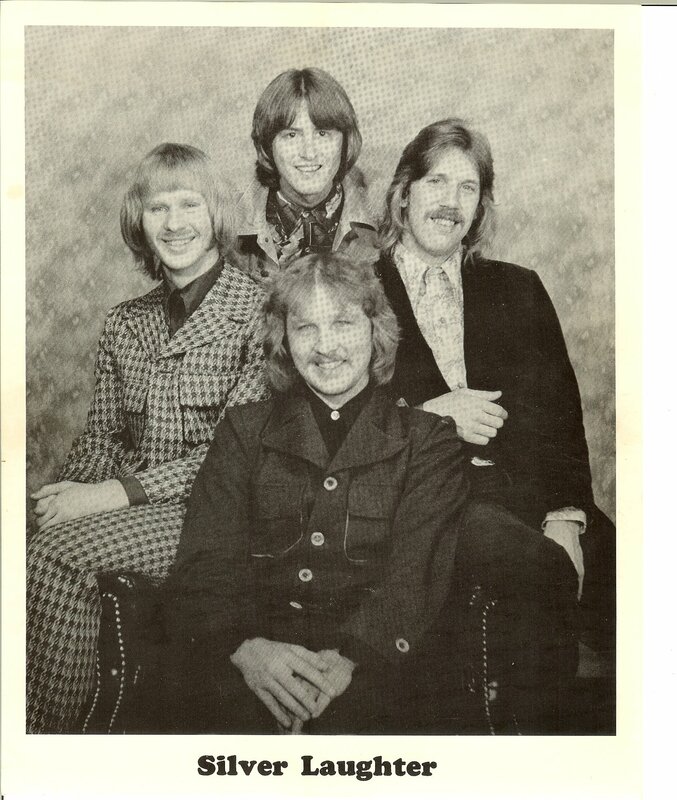 The photo is a re-post of one of the old 8 x 10 promotional pictures we used after I first joined the band which was taken by John Ludtke, Sr. in their living room. I have always said these are some of the best studio photos of the band. ‹ Listen To New Song by The Silvers on Reverbnation!